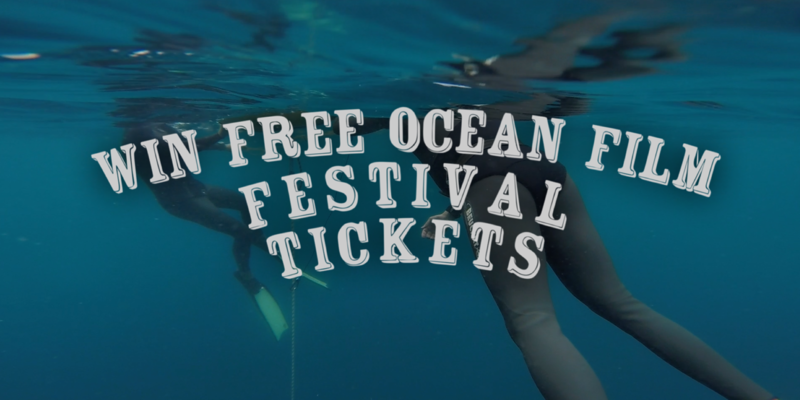 Freediving Gold Coast is offering free tickets to the Ocean Film Festival (click here to read more about this great event). We feel that this is the best selection of short films on the ocean and in particular freediving that you will see this year. It will be shown on the Gold Coast on March 9 from 7pm to 10pm. We have been for the last three years and it is always an inspiring and moving experience! Simply scroll down and register for our newsletter with your name and email address and click subscribe. All winners will be announced on this post. Winners will be randomly drawn from Newsletter subscriptions. Judges will determine the final winner based on this draw. Winner’s names will be printed on this post each week. If we suspect fraud we reserve the right to determine winners. Winners will be handed their tickets at 6.30pm on the night of the Ocean Film Festival at the Gold Coast Arts Centre on Thursday 9th of February 2017. You must be present to collect your tickets and show some proof of identification (e.g., Driver’s Licence) to collect your tickets. Congratulations, Isabelle! You will receive an email from us with details of your prize and collection (1 ticket). Congratulations, Mark! You will receive an email from us. Details regarding prize (2 tickets) collection are under ‘Condition of Competition’ point 6. Congratulations, Tony! You will receive an email from us. Details regarding prize (2 tickets) collection are under ‘Condition of Competition’ point 6. Congratulations, Lucia! You will receive an email from us. Details regarding prize (2 tickets) collection are under ‘Condition of Competition’ point 6. For any questions regarding our freediving training on the Gold Coast, or our top quality freediving courses run in multiple destinations on the Gold Coast please feel free to browse our website, email us, phone us or chat with us on the night of the festival.